Jason L. Buscaino earned his Bachelor of Arts degree in Political Science and History in 2008 from the University of California, Los Angeles. 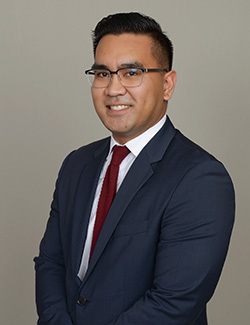 He obtained his Juris Doctor in 2012 from University of the Pacific, McGeorge School of Law, and was admitted to the State Bar of California in 2012. Mr. Buscaino is a member of the State Bar of California. Prior to joining Dietz, Gilmor & Chazen, Jason represented insured and self-insured employers in workers’ compensation defense claims. He also has experience representing applicants in workers’ compensation claims and has litigated civil matters in state courts. Jason takes an aggressive legal approach to the defense of workers’ compensation claims and customer service, makes excellent use of his previous legal experience, and makes sure this perspective translates into superior outcome for clients.